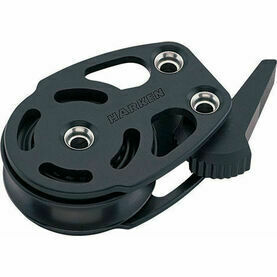 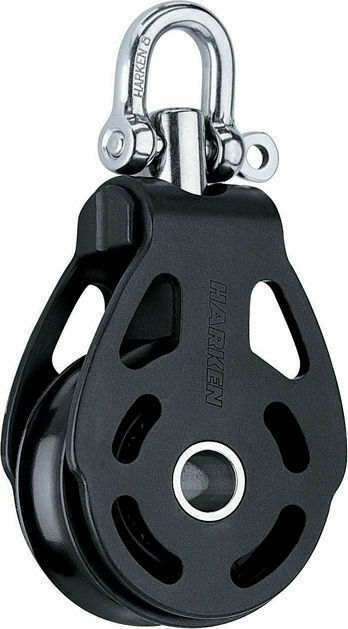 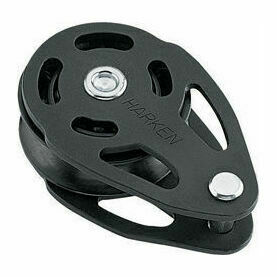 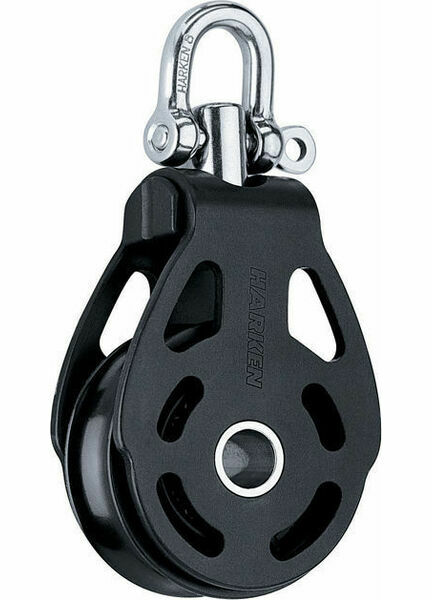 The Cruising ESP blocks from Harken are designed to accommodate their existing range in terms of looks and function, but they are actually simpler in design and construction. 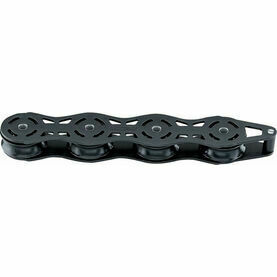 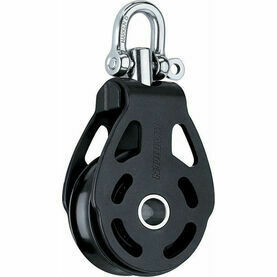 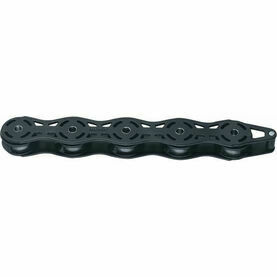 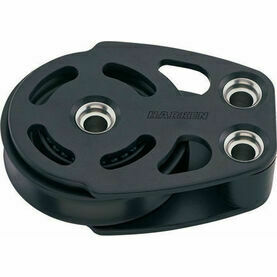 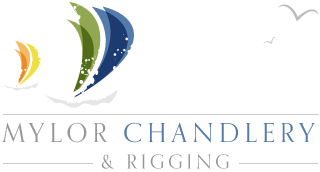 The 100 mm Aluminum ESP Block Swivel for example features sheaves capable of handling high, static loads, and is a well suited boat block for halyards or limited purchase systems on cruising boats. 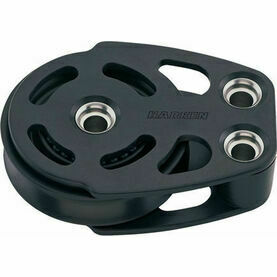 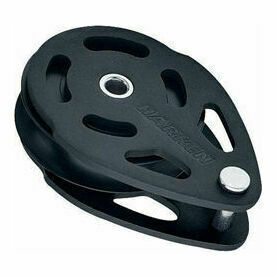 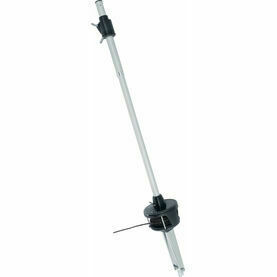 Using the swivel, this ESP boat block is suitable for winch-driven purchases of 4:1 or less, as well as vangs or mainsheet systems on cruising boats from 10m-14m (35ft-45ft).